Great news from the brand new Priory Community Centre! What a difference a year makes! Priory Community Centre now looks a far cry from the empty, not-quite-finished shell of a building I visited in June 2017. Now it’s vibrant, full of people of all ages doing all sorts of creative things together! It’s a journey that started long before I started working with the passionate group of people who make up Priory Community Association, a charity that’s been without a home since the North Priory estate in Dudley was flattened and redeveloped in 2010. Priory Community Association volunteers live and breathe their community; they continued to work in the community at other venues to make sure they stayed connected, they maintained links with other community centres for support while they were without a home and they provided a strong voice for what the new community centre should look and feel like. Last year, I was asked to support Priory Community Association through the asset-transfer process, work that had been started by my former colleague Caroline, who’d worked closely with Dudley Council staff on its asset-transfer strategy. In basic terms, asset transfer is when building or land moves from statutory control into the control of not-for-profit organisations. In Dudley borough, this has in most cases been a transfer of management (through a lease) rather than transferring ownership from the local authority to another organisation. Asset transfer can be a lengthy process (with more work required the longer the lease is), so it’s good to approach it with realistic expectations. Generally, the process involves completing a short expression of interest and then working on a business plan that will show the community support for the transfer, what kinds of activities will happen there and how they will benefit the community and the financial viability. Understandably, the local authority will want to make sure that the transfer will benefit the community and that it is sustainable. So this is the process we started with Priory Community Association. We got busy with the business plan and I think together we made a really strong case for the community benefits, linking not only with the Dudley Council plan but showing links to priorities of the Health and Wellbeing Board, West Midlands Police and Dudley Clinical Commissioning Group. We had some help and good feedback from Martin, who’s the principle link with the local authority for groups looking at asset transfer – he does an excellent job! What we all found more difficult was the financial figures. We were lucky enough to be able to get some figures from other community centres, but we weren’t sure how realistic they would be, given that Priory’s was a completely new building (and hopefully more energy efficient!). On top of that, while we were working on the plan, the completed building risked standing empty and Priory Community Association couldn’t give any certainty to potential users and hirers of the centre. So I asked Martin whether a temporary lease might be an option; this would allow Priory Community Association to get in the building and start managing it, giving them experience, building interest and providing a more realistic view of what the costs would be thus making their business plan more robust. At the same time, the building wouldn’t have to stand empty for too long and be at risk of deterioration. Dudley Council was open to this, which was wonderful news! We thought ahead and it seemed that the timings might coincide with the summer holidays, so I suggested that Awards for All might be interested in funding a playscheme with a difference – one that would help to launch the brand new community centre and kickstart other activities that would happen there. Together we worked on the application – it was a good one! – and Priory Community Association landed a grant of around £5,000 from Awards for All. The group also successfully applied to Dudley Council’s Community Forums to help them furnish the kitchen and other areas of the centre, and their good relationships with other community centres in the borough meant they had lots of chairs and tables donated. During my visit a group of children and adults descended on trustees and volunteers with flowers and chocolates to say thank you for the two weeks of fun they’d had. Of course, I had to get a snap! Leaders, people like Celia, Sally and Rachel, have also instilled the sense that the community centre is for absolutely anyone and everyone. The behaviours the leaders have shown and the language they’ve used have helped people feel a sense of ownership. Children have made posters encouraging everyone to tidy up after themselves and people feel like they can contribute to making activities happen. The fact that they had enough volunteers to cover a day trip of 59 people to Weston and keep activities going at the centre shows that people are willing to help and volunteers are valued there. This is great news for the future of the centre! The people I spoke to had lovely things to say about the local PCSO’s too. They went to each day of the play scheme, getting involved in the activities, judging competitions, doing the less attractive jobs! It seems like the play scheme has been a great way to connect communities with each other and with the people that serve those communities, like the Police, who want to be visible and engaged there. The future looks good. Throughout the last few months, Priory Community Association have been engaging with people and organisations that might want to use the centre. There’s an exciting plan in the pipeline with young people’s charity Top Church Training, which might see the Community Centre cafe opening regularly, and there’s been a lot of learning about what works from the play scheme – a regular families session might be on the cards! Whatever the plans, I wish Priory Community Centre every success. The people involved make my job an utter privilege and we’ll always be happy to support them as they develop. The NHS is facing a number of challenges. People are living longer, with more complex health issues, and across the NHS it is now recognised that to really meet these challenges we must take a longer view. They are not things that can be fixed overnight. The Five Year Forward View (published in October 2014), set out how the NHS needs to adapt to be able to provide sustainable, personalised health and care services over the next five years. To support this, the NHS invited organisations and partnerships to explore new ways of working. Dudley CVS was keen to contribute to this work and is working in partnership with local organisations to develop a new model of care in Dudley. All Together Better describes this partnership between local NHS and care organisations, GPs and the voluntary sector which all believe there is a better way to plan and deliver care in Dudley. We are now working together to develop a new care model called a Multispecialty Community Provider (MCP) to improve the way the most vulnerable people are looked after. Under the new model, people who are registered with a Dudley GP will have their care coordinated by them. For example, a person with frailty and long‐term conditions, registered with a GP in Dudley, now has their care overseen by a multi‐disciplinary team in the community. This team includes the Dudley CVS voluntary sector locality link workers (Integrated Plus) who are connecting our most vulnerable people to the 1000+ community and voluntary sector organisations in Dudley. This ensures a more rounded approach towards care that better meets the person’s medical and social needs – at one time, in one place. These links also help to ensure that people have access to support and care from their local community. As a result of the health and care system working together in this way, people are not only receiving the coordinated support necessary for their health needs, but they are also linking to the wider network of care and social interaction in their community to help them live more independently for longer. New ways of working will also mean that health and care staff will have more time to care for the people that need their expertise the most. You can find out more about Integrated Plus workers by watching this short video about their role. The All Together Better partnership has arranged a number of Listening Events to help us find out what really matters to people in Dudley in general, and in relation to specific health services. The Doodle Ad has been created by the partnership for the Listening Events and is being used to explain the changes to local people. View the Doodle Ad below. 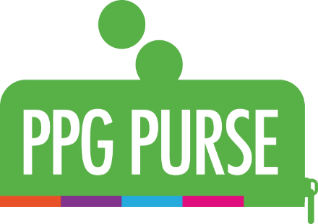 A budget of up to £1000 for each PPG over the next two years will enable PPGs explore ideas about the best way to spend the money in their purse to get maximum benefit for their PPG. To give some examples, the money could be used to pay for printing, promotional materials, equipment such as laptops to help PPGs develop social media tools, running events or activities and much more. PPGs may want to work collaboratively with other PPGs to jointly host events and activities in which case their individual budgets can be pooled together. Where are we at with Integrated Care in Dudley Borough? Dudley CVS is hosting its second event on integrated care for the voluntary and community sector in Dudley borough on 11th November 2014. The purpose of the event is to bring together the voluntary and community sector to update them on where we are at with integrated care, our new pilot Integrated Plus, and to enable the sector to explore how it could contribute to the integrated care model being implemented in Dudley borough by Dudley Clinical Commissioning Group and the Directorate for Adults, Communities and Housing Services. Details of the outcomes of the event will be published in a blog soon or visit: integratedplusblog.com. 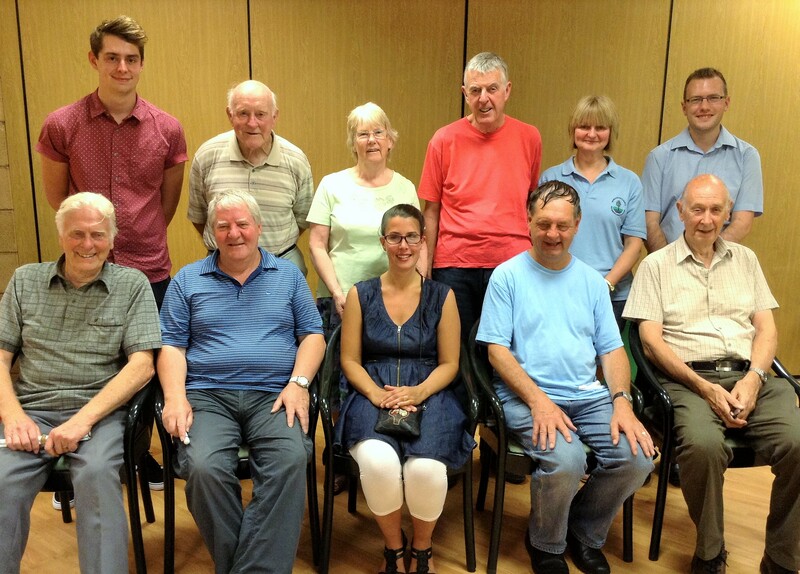 Meet some of the staff, volunteers and swimmers from Thomas Pocklington Trust Stourbridge’s project supporting people with sight loss to access sport and physical activity, a piece of work which is not only helping people to feel healthier, it’s also giving participants a new lease of life. As one of the projects funded by the Improving Physical Activity Fund (mentioned in my previous post), I met with some of the group members, 3 volunteers, Sharon the instructor and project-manager David, to discuss what impact the project has had on them. Self-Care What’s it all about then?